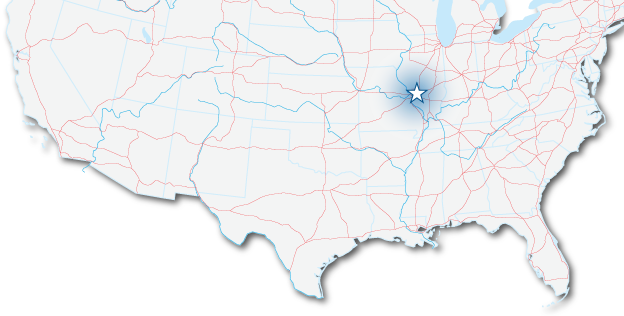 Highland, Illinois is a great location for back office or call centers. In order to best meet your needs, we took the initiative to create our own fiber network. The City of Highland has completed the Fiber To The Premises (FTTP) Gigabyte System will provide you with reliable high speed data, voice, internet and video services to meet your needs for years to come. Our television services range from 24 channels to more than 225 channels, internet services range from 1.5 Megabyte download/512 Kilobyte upload speeds to 30 Megabyte download/6 Megabyte upload speeds, and telephone services include both limited and unlimited local and nationwide calling. *Highland provides fast, reliable, professional service and support through the FTTP Gigabyte System. *20 megabytes to a gigabyte or more!